Ben Stevenson (47) is a pathologist at Trinity Medical Center. He met his wife Susan (43) in medical school (she’s a family practice physician), and they have been happily married for seventeen years. The couple has two sons, Thomas (16) and Joel (8). Ben and Susan moved from the city Pittsburgh to Wintersville, Ohio when Thomas was two-years-old. Wintersville is a small, safe Midwestern town with a population of five thousand, and Ben is happy to be raising their family here. He enjoys his work at the hospital, and also serves as the town’s medical examiner. But on the night of March 21, 2013, the mutilated body of a teenage boy is found in the woods, and Ben’s sense of security is ripped away. From the first page of John Burley’s debut psychological suspense stand-alone novel, the narrative voice had this reader’s pulse racing. As a fan of this genre, I had the familiar sense of fear and excitement I get when a talented writer is at the helm. Ben maintains his professional objectivity and skill in the CO (Coroner’s Office). 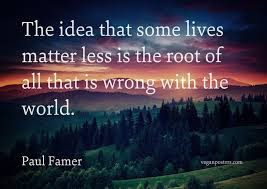 Yet, Ben Stevenson, in comparison to Patricia Cornwell’s pathologist Kay Scarpetta in Cornwell’s debut novel Postmortem, is a family man first and foremost. While Ben clearly is an excellent medical examiner, nothing in his prior experience Wintersville has prepared him for the horror of this case. Ben clearly is terrified that evil literally has hit so close to home, especially as the father of a teenage boy. As a writer, Burley has the advantage of a strong medical background (he is an emergency room physician). The scenes at the coroner’s office and at a hospital are very strong. His prose is vivid and intense. Burley’s portrayal of the Midwestern small town setting its residents rings true. Burley’s characters are captivating. The opening scene of the book terrifies in the depiction of a serial killer stalking and murdering the young teenage boy. Another character who is especially compelling is Chief Sam Garston of the Sherriff’s Department, a large man with presence who is understands the subtleties of criminal cases and who possesses sensitivity in dealing with all parties of a case. Burley possesses a knack for voicing genuine teenage characters without patronizing them. He is adroit with his red herrings. It’s unlikely that the reader will be able to predict the shocking ending. 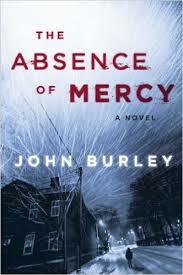 I look forward to John Burley’s next book, and recommend The Absence of Mercy to fans of crime fiction and psychological suspense.